Transport yourself to the glittering coastal town of Portofino and immerse yourself in crisp, vibrant colors and the gentle Italian breeze. These lightweight towels feature elegant striping in a variety of pure, lively colors that never fade. Handwoven on antique looms, strands of 100% organic cotton are transformed with a flat weave into versatile Turkish towels that glide across the skin with the softest touch. 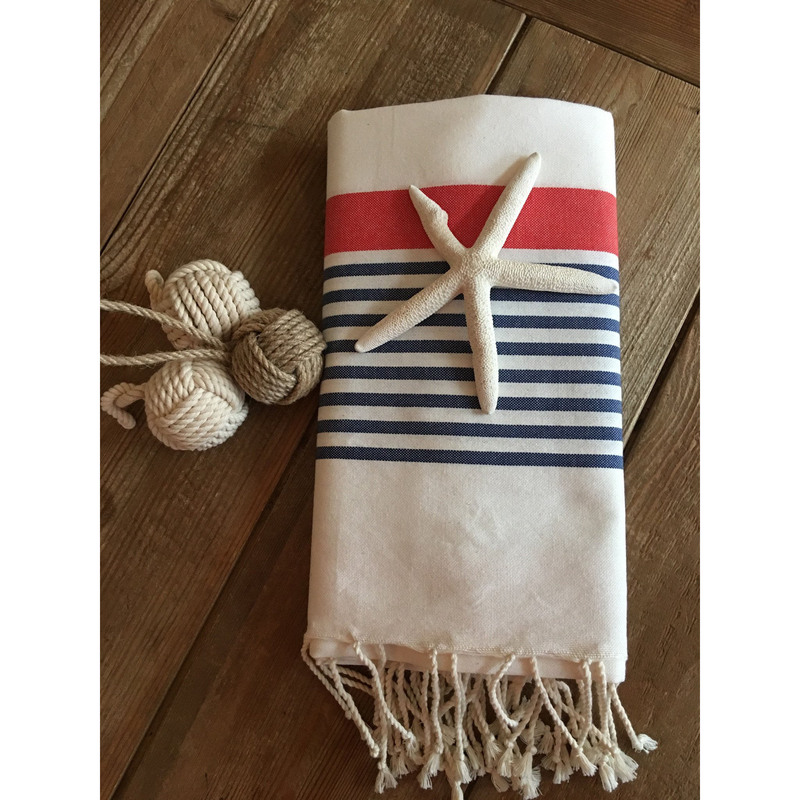 Use these Foutas as chic travel towels, trendy beach blankets, stylish home décor accessories, or luxurious poolside cover-ups.